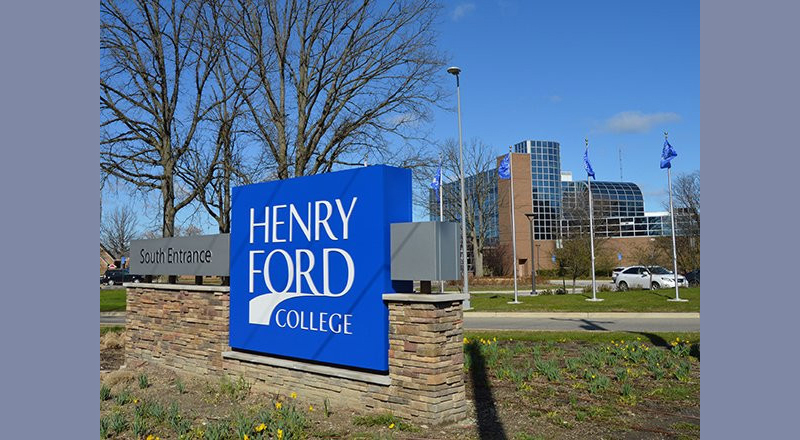 DEARBORN – Since its founding in 1938, Henry Ford College has been touted as one of the best pathways to a higher education in the state and in bringing capital to the city. On November 6, Dearborn residents will decide whether to reinvest in the school. By law, every Wayne County community must belong to a community college district, so Dearborn decided to open its own college as it recognized the value of controlling its own tax dollars. In 2013, homeowners approved a millage to fund HFC’s budget, but that mill (out of four) will expire next year and HFC must place a millage renewal proposal on the November ballot to renew it for the next five years. The mill currently costs the average homeowner $4.50 per month or $54 per year. If renewed, they would continue to pay that amount. Several local officials and heads of community organizations have been advocating that voters renew that mill, although one school board member has voiced opposition to tax increases. HFC is the only community college in Michigan that belongs to a single public school district. 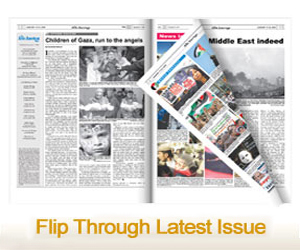 Its board of trustees oversees both the college and the Dearborn Public School District. In the weeks leading up to the election, HFC President Russell Kavalhuna and HFC Federation of Teachers President John McDonald have been educating voters through presentations and literature on the impact that one mill has on keeping up with the operations and value education, among other needs at the college. 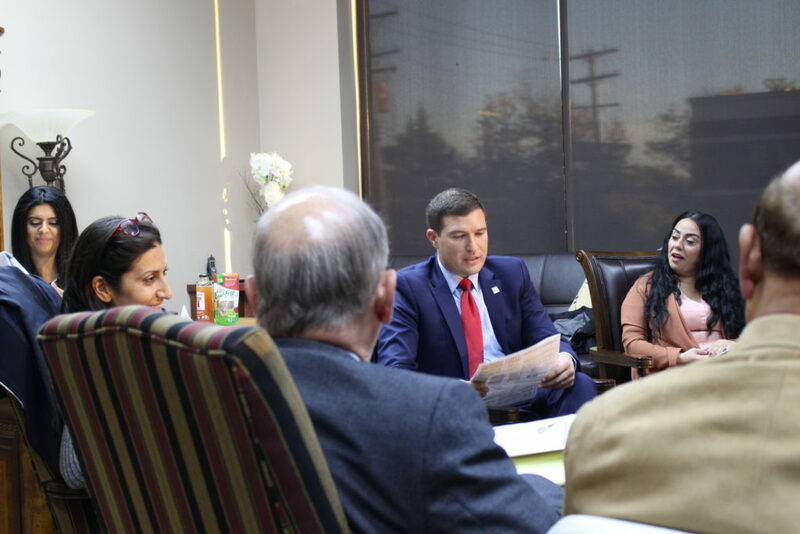 In doing so, HFC hopes to continue its investment back into Dearborn by way of offering strong education to residents, bringing in state aid and boosting the local economy. According to Kavalhuna, HFC provides more than 150 academic programs, including career and technical education programs as well as workforce development opportunities to ensure local companies remain competitive and to preserve the city’s commercial and industrial tax base. Dual enrollment opportunities can also lead to zero-cost HFC degrees. Many students graduate from Dearborn’s high schools having already completed their freshman and sophomore college years, which can result in substantial savings in time and money to complete their studies. About 2,000 Dearborn students are currently taking dual enrollment courses at HFC. Kavalhuna cited a 2018 socioeconomic impact study conducted by Economic Modeling Specialists International, which found that because HFC, its staff and students generated about $883 million in economic activity from 2016 to 2017 on good and services like entertainment, dining, shopping, gasoline and auto services, it’s equivalent to supporting 13,191 jobs. According to Kavalhuna, if voters approve the mill, HFC will use the funds to reduce its energy consumption, upgrade classroom technology, improve aging facilities’ infrastructure and hire new teachers. The college’s plans to spend $800,000 annually will be used towards an Integrated Energy Master Plan project, which will reduce HFC’s energy consumption by up to 60 percent, reduce water usage by up to 40 percent and develop an energy-related curriculum to help HFC students obtain jobs in green energy fields. About $2 million per year would be used to hire faculty and enhance positions dedicated to student success, retention and completion efforts. Kavalhuna said HFC is planning to expand its Arab American Cultural Studies program. About $300,000 per year would go to classroom investments, including purchasing of state-of-the-art equipment that would enable interactive learning experiences that simulate the realistic working environments. Another $300,000 per year would support the improvement and maintenance of “frankly crumbling parts of infrastructure” of buildings and classrooms, including adding more study and gathering spaces for students. McDonald said HFC’s liberal arts building, built in 1962, is the oldest on campus and is need of a lot of upkeep and upgrades to its electrical infrastructure. Three primary sources of revenue make up HFC’s operating budget: Tuition and fees add up to about 55 percent of total annual revenue, state aid represents about 29 percent and property tax revenue brings in about 16 percent. The proposed mill represents approximately $4.2 million in annual revenue for HFC, amounting to about 5 percent of HFC’s nearly $90 million operating budget, according to Kavalhuna. Among the state’s community colleges, HFC receives the lowest revenue streams from property tax and gets state aid at the same levels since 2003, according to the American Federation of Teachers. 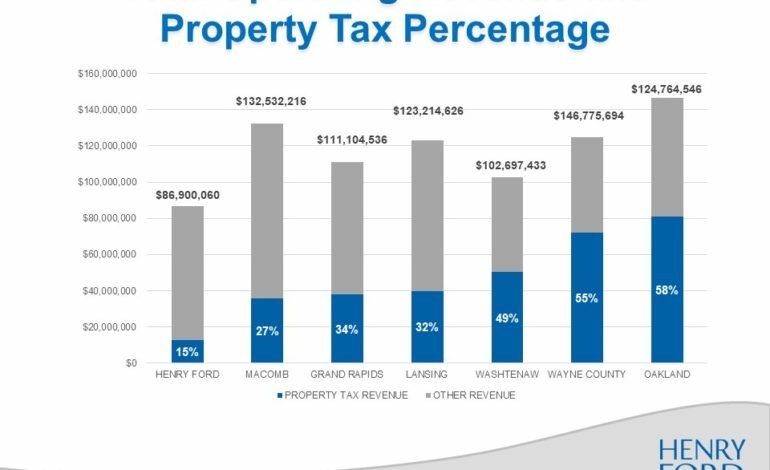 From 2016 to 2017, nearly $13 million in local property taxes went to HFC, compared to Wayne County and Washtenaw Community Colleges, Kavalhuna said. Both community colleges serve about 2,000 fewer students than HFC, but received more than $72 million and $50 million in property tax support, respectively. That’s the same reason HFC has asked for four mills from taxpayers in recent years, compared to the 3.24 mills Wayne County Community College, at about 7,000 students, asks for. “Dearborn taxpayers are paying less to Henry Ford College in actual dollars than they did 10 years ago,” McDonald said. 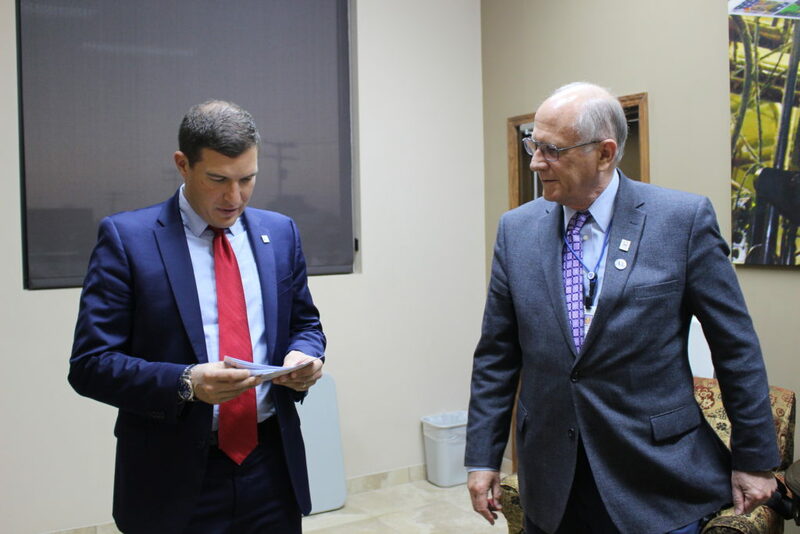 McDonald explained that Wayne County Community College employs only 66 full time faculty, but has campuses in several cities that enable it to capture more property taxes. HFC employs about 180 full time faculty, but is required to staff 200 teaching faculty by 2021. Kavalhuna addressed residents’ concerns that their property taxes would subsidize tuition for students living outside the district and said the opposite is true. Dearborn residents pay $99 per course credit versus $172 that non-residents pay. Kavalhuna said income that HFC receives from non-resident students (60 percent) add up to being more that the combined total of resident students’ tuition and property tax revenue. If voters decide not to approve the millage renewal, Kavalhuna said he will have to begin looking at programs to cut at the college. “Without this revenue, the college would experience budget shortfalls that would significantly diminish the plans as outlined and would negatively affect staffing, facilities, student support services and technology advancements across campus,” he said.